There are places where you can find genuine travel house services. This is in Ibadan, one of the most beautiful cities that offer hotel services; accommodation in self contained rooms that are spacious and hold comfort double beds that will make the night sweet and relaxing. Within the rooms we have the best shower and toilet units that are supplied with both warm and cold water and for that matter, our quests are guaranteed of much comfort and a nice stay. In addition to that the hotel rooms are air conditioned with fans and room warming machine. Within the room near the bed are the writing desk and a chair plus a telephone for you to request for anything from the receptions desk while in your bedroom and with the presence of a restaurant menu it is easy to request for a specific meal to be delivered to your room. This is the maximum comfort that you need. Customers or quests are the first prioritized factor here, and this is the only strategy that keeps the customers loyal and willing to come back for more. 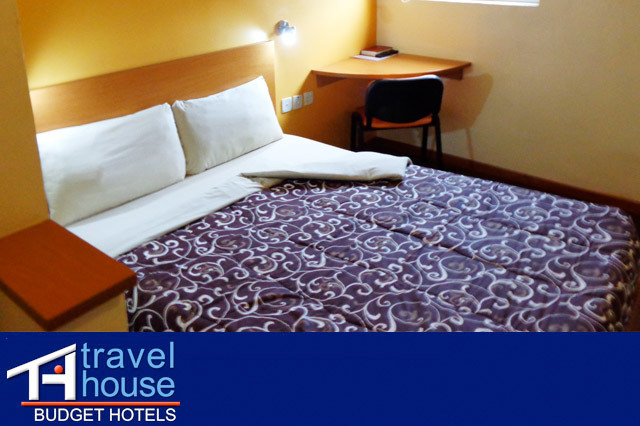 It is in fact not enough to stop at that, the travel hotels in Ibadan offer more. There daily tea or coffee and cold drinking water to complement your stay and if you wonder about security, the there is twenty four hour power generation and a tight watch of a mobile police. Other additional facilities includes a conference room of capacity enough to hold meeting for twenty attendants but if more room is needed the arrangements can be done for more spacious conference rooms at an extra cost. There are laundry and taxi services and food and beverage points where you can have some food and drinks all available inside and near the hotel.